Malahide Castle, sitting in its in extensive gardens, is one of Ireland’s most visited heritage buildings. Located in the county of Fingal in the coastal village of Malahide just north of Dublin, the castle was occupied by the Talbot family for nearly 800 years. The dynasty’s founder, Richard Talbot, arrived in Ireland in 1174 at the time of the Anglo-Norman invasion, and was granted the lands and harbour of Malahide by Henry II in return for his services during the conquest. The oldest parts of the castle date from the 12th century. Like many other families of Norman origin, the Talbots became firmly embedded in Irish life and culture as subsequent events showed. At the conclusion of the English civil war, Oliver Cromwell turned his attention to Ireland. Among his conquests was Malahide castle. The Talbots in residence were given the usual choice of going to ‘hell or Connaught’ and chose the latter. Cromwell later gave the Castle to a deputy, Myles Corbet, a Puritan, the last person to sign the death warrant of Charles I. According to one source, Corbet set up a brewery in the castle church, destroying the altar. It is said that as a consequence of his occupation, an image of the Virgin Mary in one of the rooms of the castle vanished from sight! Corbet’s tenure did not survive the Restoration of the monarchy since as a ‘regicide’ he became a wanted man. Fleeing Malahide into exile on the Continent, Corbet noticed that the image of the Virgin had returned to its original location! Corbet was arrested in the Netherlands, returned to England and subsequently hung drawn and quartered at Tyburn. The Restoration of Charles II also restored the Talbots to Malahide. The Talbots of Malahide supported the Jacobite rebellion. It is said that on the morning of the Battle of the Boyne, fought about 25 miles north of Malahide, fourteen Talbots sat down to breakfast at Malahide and all but one did not return from the battle. Today, Malahide Castle houses an important collection of paintings depicting the Jacobite rebellion, including Jan Wyck’s 1693 work which hangs in the Great Hall. Despite being on the losing side in this conflict, the Talbots retained their lands and survived the penal period. However, most of the family converted from the Catholic faith in 1770s while remaining supporters of Catholic Emancipation and Irish rights. The Talbot family became both Irish and English peers in the nineteenth century. The last baron Talbot was Lord Milo Talbot, born in 1912. Milo was eccentric, a misogynist and consequently unmarried. He held senior positions in the UK Foreign Office rising to the rank of First Secretary. During his overseas postings he became an avid collector of exotic plants. Milo was largely responsible for the creation of the modern botanical gardens adjacent to the Castle which continue to showcase his legacy and include plants collected in Australia. He also commissioned The Endemic Flora of Tasmania, a six-volume botanical book. Although it had been continuous for nearly eight centuries, Talbot control of Malahide was finally ended by the most modern and pedestrian of all enemies: taxation. On the death of Milo Talbot in 1973, the castle was inherited by his sister, Rose Talbot. To pay the death duties owing, Rose was forced to sell the castle’s furnishings privately and subsequently the castle itself was sold to the Irish State and is now owned by the Fáilte Eireann and Fingal County Council. Fortunately for Rose Talbot, there was a backup Malahide – in Tasmania, Australia – to which Rose now moved. In November 1820, 36-year old William Talbot arrived in Hobart intending to settle. He sought a grant of land, only to be told that the Lieutenant- Governor did not have the necessary powers to give him ownership of land. Only the Governor of New South Wales could do this. William sailed to Sydney where Governor Lachlan Macquarie not only granted the new-comer a Location Order for a maximum grant of 2,000 acres, but he also assigned him six convicts as personal servants. Along with them, William returned to Hobart where he presented his Location Order to Lieutenant-Governor Sorell who granted him land. Unfortunately, the land granted to him had also been promised to another and the ensuing dispute was not resolved until 1824. William Talbot had to take up alternative land. Two years later he found a suitable site, in a recently surveyed area comprising 3,000 acres in the north east of the colony between the South Esk and Break O’Day Rivers. Here was an abundance of clean, fresh water and it was just 70 miles from Launceston. William reckoned he had found the perfect place to establish his new Malahide, which he did in 1827. Later the adjacent area and the nearby town took the name of Fingal, the Irish Malahide’s home county. Before long, the Tasmanian Malahide was established and became a highly regarded sheep station, a status it holds today. In 1830, William’s nephew Samuel Talbot arrived at Fingal where he also took up land. As well as working his own place, Samuel managed Malahide when William was away, and when William died unmarried in 1845, Samuel inherited the property. When he too returned to Ireland, another of William’s nephews, Richard Gilbert Talbot took over. By this time Malahide comprised some 20,000 acres and said to have a grazing capacity for 25,000 sheep and 1,700 cattle. In 1835 the original timber homestead burnt down. It was replaced by a new structure which forms the basis of the present house. While the actual date of the construction of the house is not known it seems certain the front block and stables were built during William Talbot’s time. Ultimately the property, in addition to the two-storey homestead, comprised a cluster of buildings including manager’s house, workers’ cottages, stables, coach house and farm sheds. Malahide was in the hands of managers during the latter half of the 19th Century with Robert Clerk* the longest serving of these, from 1852 to 1880. Not only did he reside in the main Malahide homestead he was able to entertain private guests there. Richard Gilbert Talbot succeeded Clerk in 1880 and, when he died intestate in July 1900, the property was divided between his widow, mother, brother and sister. At the time a family member identified as Richard Gilbert Talbot the Younger took over management. The new owners do not seem to have spent much time at Malahide with general oversight of the property in the hands of a local trustee company. The situation at Malahide Tasmania remained unchanged during the World War I. In 1938 ownership passed to Lord Milo Talbot, but 13 years went by before he made a visit. Milo was the first Talbot male in 50 years to visit the antipodean Malahide where no family member had lived for 60 years. He apparently liked what he saw, restored the homestead and amassed a large collection of Australian paintings** displayed in a gallery converted from a coach house. Following his death in 1973, Malahide in Tasmania (along with his Irish estates) passed to his sister, Lady Rose Talbot, known as the last chatelaine of Malahide Castle in Ireland. 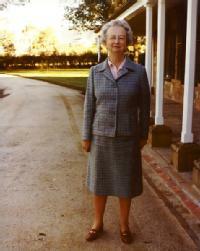 Following her forced disposal of the castle in 1976, Lady Rose made the Tasmanian Malahide her home. She initiated more improvements to make the property elegant and liveable. Rose successfully managed the property, now trading as the Fingal Pastoral Company and groomed the next member of the family to run Malahide. This was a cousin, Richard Talbot, a Royal Navy officer, who used periods of leave to learn how to manage the remaining Irish and Tasmanian properties. He assumed these responsibilities when Lady Rose Talbot died in 2009. 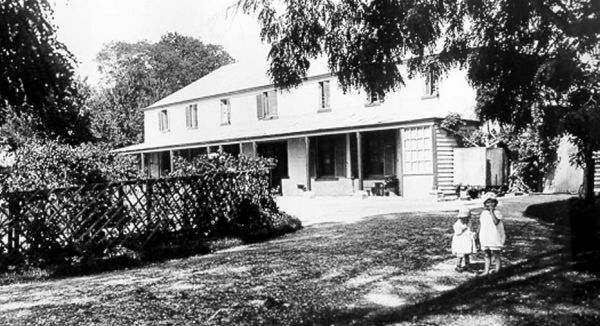 Now heritage-listed, Malahide in Tasmania continues to flourish under the Talbot banner and, if a recent planning application for further improvements to the homestead is any guide, it will continue to do so for some time to come. James Harvey is an amateur historian who has published three books on Australian railway history: The Never Never Line, Australia’s Forgotten Volunteers and Mercy Trains. He edited and with his family self-published his mother’s memoir The Shadow of the Guns, in which the family’s connection* with the Tasmanian Malahide is mentioned. Keith Harvey has previously contributed to Tinteán. He is editor of The Debate, the journal of the Australian Institute of Employment Rights. * Robert Clerk was married to James Harvey’s great aunt and his grandfather spent time at Malahide during Clerk’s time. ** The collection was later published. McPhee, Catalogue of Australian Paintings at Malahide, Fingal, Tasmania. Canberra 1987. Sources: some of the material in this article on The Tasmanian Malahide is taken from Historic Homesteads, Australian Council of National Trusts, 1993. I am a retired Irish gentleman who about three years ago, came to live in Berowra, NSW with family. I am a subscriber to your magazine ‘Tintean’ and would congratulate you on a very fine article on the ‘two Malahides’. My home in Dublin (although originally from Galway), is about four miles from Malahide Castle. I would have used the grounds extensively over the years for running and walking. The Castle would have been one of the first places of interest that I would take friends to, fro Australia, USA, UK, Scotland and many other parts of the world. As a result of my interest in the Castle, its history and family, I plan to visit Tasmania in November. My particular interest will be in discovering what I can of the Talbots and where they located. If you can be of assistance on directing me to locations of interest, I would be most obliged. If any of your readers have visited the Malahide Homstead of the Talbots, I would be pleased to receive directions and a recommendation as to a convenient place to stay for two or three days. My very best wishes to you, Slan, Agus Beannacht de leath.